Like all the homemade milks, Almond Milk is very simple, only requiring a little bit of advanced planning. 1) In a glass jar with lid, cover 1 Cup of shelled raw organic almonds with fresh cold water. Soak the almonds over night or for a minimum of six hours. The longer you soak them the creamier the milk (up to 24 hours) changing soaking water a few times. 2) After desired soaking time (six to 24 hours), drain and discard the water from the soaked almonds. Rinse the soaked almonds well. 3) In a high powered blender, first add 3 cups of fresh water then the soaked almonds. The almonds will have expanded and feel squishy to the touch. The soaking allows the almonds to become soft for the blending and also enhances the smoothness and creaminess of the milk. 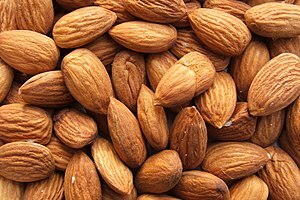 4) Blend the fresh water and almonds for 1 – 2 minutes until smooth. 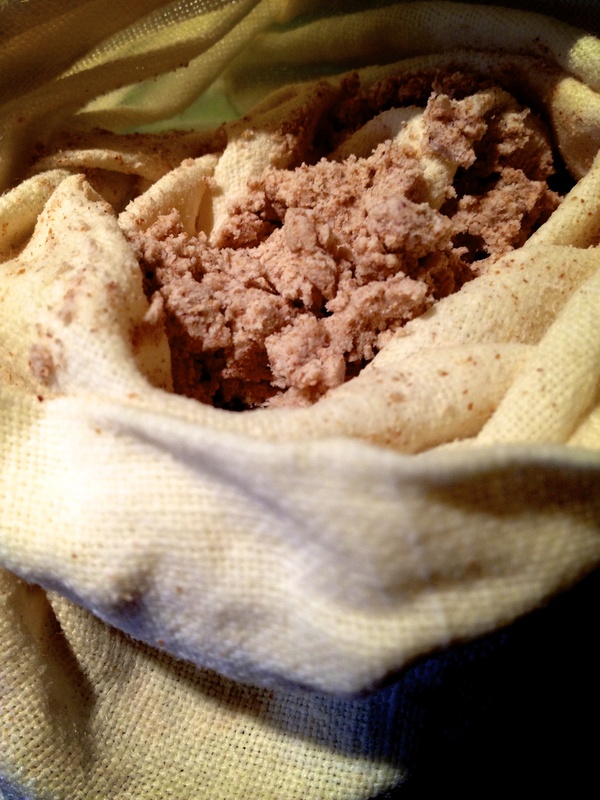 5) Using a cheesecloth or Nut-Milk Bag (you can also try using a fine mesh sieve) strain the contents of the blender. Below is an image showing what was left in the nut-milk bag, the almond pulp. The pulp can be used in baking or dried then blended into almond meal. 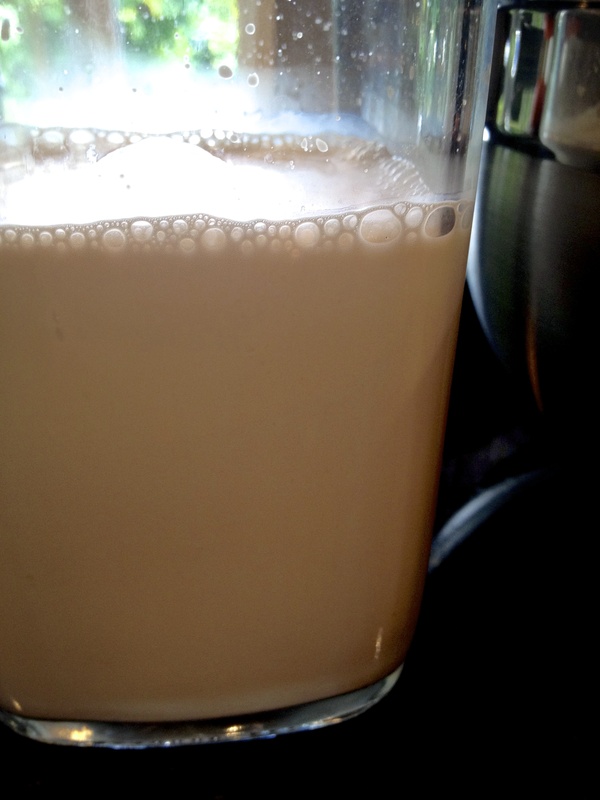 6) Refrigerate homemade raw organic almond milk in a clean glass jar for three to four days. You may like to sweeten your almond milk by adding one or two fresh previously soaked & softened medjool dates (with pit removed) to the blender as well as a spot of vanilla. I prefer to limit additional sugars since I use homemade milks for baking and not for drinking out of the glass.